The body changes significantly during pregnancy. With the extra weight and change in body shape it can be hard to maintain exercise programs. 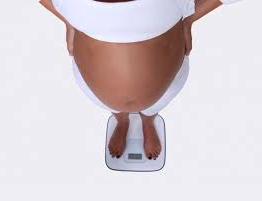 Putting on a little weight during the pregnancy is recommended, though some women take advantage of being able to eat extra to store a few more pounds than needed for maintaining the health of the fetus. Exercise after giving birth can hasten recovery, aid weight loss and improve muscle strength. You can start with gentle exercise, such as walking, as soon as you feel comfortable. This is usually a week after giving birth, and after you have had a check up with your doctor. After a caesarian, the you should wait at least six weeks for proper healing to take place. In terms of breast feeding, exercise should have no effect on your ability to successfully breast feed. If you do exercise, it is important to drink plenty of water to prevent dehydration, as you will be losing some of your body fluid when expressing milk. If you think you are a candidate for post-natal depression - exercise can help reduce anxiety and depression, and increase your vitality. Many health centers run exercise classes for new mothers and can guide you on the best exercises to do. One of the most important exercises to include are the pelvic floor exercises. Most mothers are taught and perform these exercise during pregnancy, and they could be continued immediately after giving birth. Correct technique is very important to do these exercises effectively. For muscle strength and aerobic fitness, walking is the best low impact exercise to start with, before building up to cycling, swimming and weight-training. Breastfeeding mothers need a higher intake of nutrients in the diet including protein, calcium, zinc, magnesium, folate and vitamins. You can achieve this by eating nutrient dense foods such as fresh fruit and vegetables, whole grain bread and cereals, lean meat and dairy products for calcium.